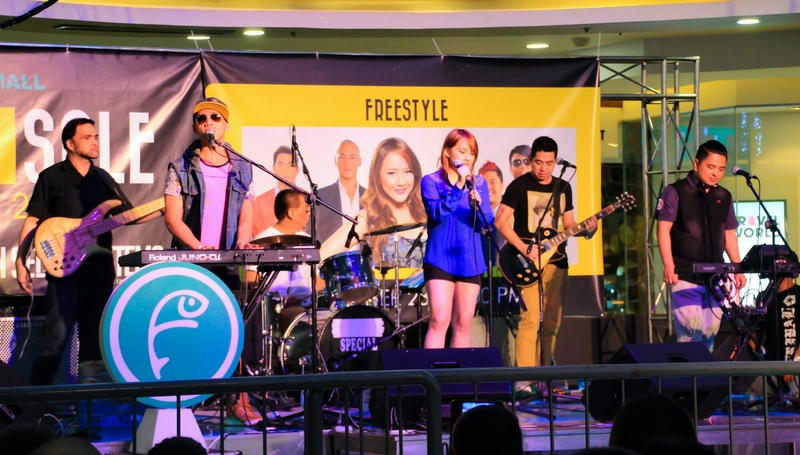 Freestyle is a pop/rock/R&B band from the Philippines formed in 1996 and hit mainstream in 1998. The band is famous for their songs “Before I Let You Go”, “So Slow” and “Bakit Ngayon Ka Lang?”. The band is now on their 19th year going to 20! I had a chance to see one of their mini-concerts in a mall located in Quezon City (where I live). Their singer, Ava Santos, is quite good and has a personality that will keep your eyes looking at her while the band plays on! Parties… Here, there, and everywhere! … And I have a lot of pictures of her. Hehehe! Ha ha ha ha. I’m sure you took shots from every angle. Ahehehe! Except “from under”! Wink!